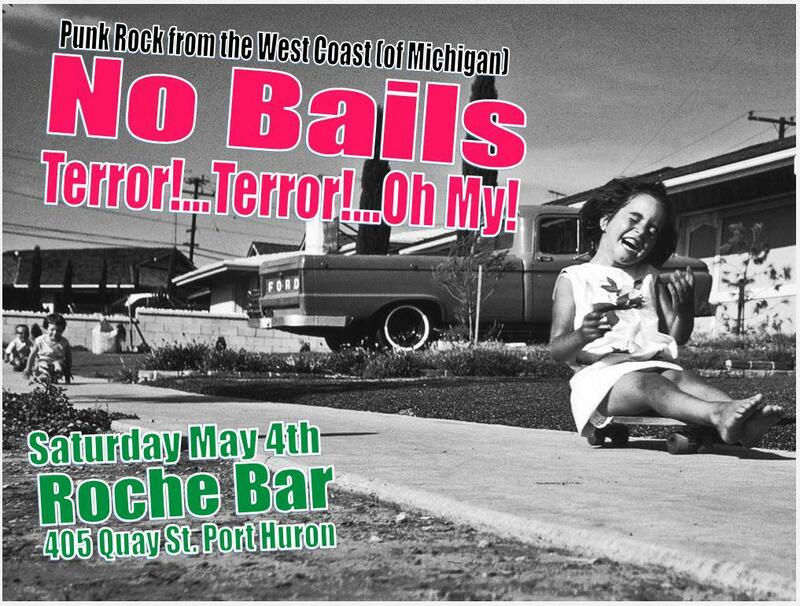 SMASHIN' TRANSISTORS: May 4th, 2013 at Port Huron's Roche Bar: "Punk Rock from the West Coast (of Michigan)"
May 4th, 2013 at Port Huron's Roche Bar: "Punk Rock from the West Coast (of Michigan)"
Kalamazoo's mighty No Bails are bringing their groovin' sludge to the Roche Bar on Saturday May 4th. Powered by cheap pizza, cheaper beer, punk rock records of the Aussie kind (think Cosmic Psychos, feedtime and et cetera) and getting the wrong impression from ABC After School Specials-this trio will rumble your guts. Along for the ride from the land of Bell's beer and Broncos are the wild, wiggly and woozy hyperactivity that is Terror!...Terror!...Oh My! 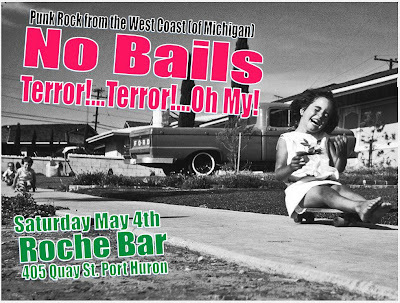 Check out a tune from No Bails here. Get an earful of Terror!...Terror!...Oh My by clicking here. Yours truly along with some special guests will most likely be spinning tunes before between and after the bands too.